Another photo taken in the rather picturesque area known as the Furry Glen. This was taken just at the main wooden steps on the way down into the Glen itself. I found this pair of trees and they kind of reminded me of a pair of cacti, maybe they have some grand aspirations to slowly morph into another type of plant or maybe I am witnessing the dawning of a new subspecies of tree. The pathway between the trees leads down to a small lake which is over to the right of the picture, I will hopefully get some good photos of the lake very soon. 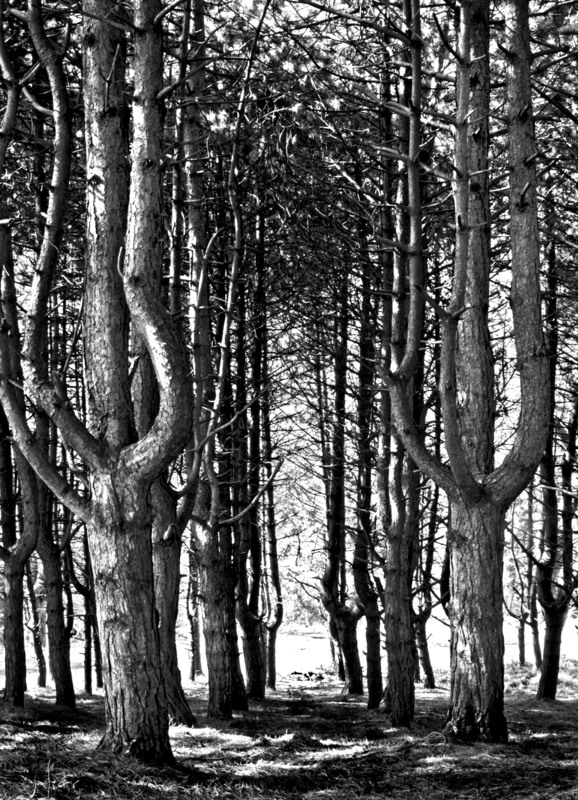 This entry was posted in Black and White Photography, Irish Landscapes, Phoenix Park and tagged Black and White, Furry Glen, Phoenix Park, Photography, Tall Trees, Trees, Wide Angle. Bookmark the permalink.